Initial production was begun on a Marine Corps acquisition before a test and evaluation plan was in place. 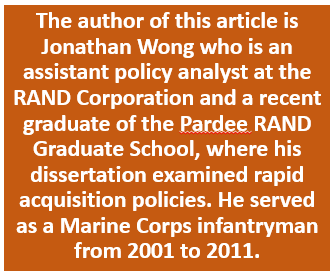 That is the finding of the Office of the Inspector General (OIG) of the Department of Defense (DoD) in an audit report issued August 6, 2015. 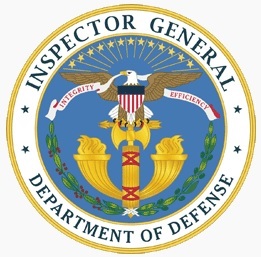 The OIG’s audit objective was to determine if the Marine Corps was effectively managing the Ground/Air Task Oriented Radar (G/ATOR) project during the initial production phase. The OIG evaluated the production plan for initial production units and planned developmental testing. The OIG found the Marine Corps generally managed the G/ATOR program in accordance with Defense acquisition guidelines in that G/ATOR Program Management Office (PMO) officials implemented reliability improvements, planned new semiconductor technology that should reduce costs and improve performance, and obtained the milestone decision authority approval for increased initial production quantities. However, on March 10, 2014, the milestone decision authority approved the G/ATOR system to begin initial production without an approved Test and Evaluation Master Plan (TEMP). Officials from G/ATOR PMO and the test community stated that they were coordinating to include the test strategy for new semiconductor technology and a clarified operational reliability requirement in the TEMP. As a result of the audit, G/ATOR PMO officials plan to complete the TEMP before developmental testing begins in the second quarter FY 2017. Until the TEMP is updated to include the test strategy for new semiconductor technology and a clarified operational reliability requirement, the G/ATOR program is not ready for additional testing. Georgia Tech Research Institute (GTRI) researchers are working with a Huntsville, AL company and the U.S. Missile Defense Agency (MDA) to test high-altitude missiles without ever firing a shot. AEgis Technologies, specialists in modeling and simulation, contracted GTRI’s Applied Systems Laboratory to collaborate with MDA on testing high-altitude air defense missiles. ASL is in its second phase of a multi-year project utilizing “hardware-in-the-loop” testing to enable more accurate modeling and simulation for its customer. Hardware-in-the-loop simulations use portions of the real missile hardware, such as the seeker, with any missing pieces made up by simulated components. With current testing models, thermal signature databases must be computed offline prior to the test, and can take up to three days for a mere fifteen minutes of simulation time. Any alteration to the parameters—altitude, weather, terrain, or even the position of the sun—requires a total re-coding of the database. Testing a missile launch from Hawaii, for example, to intercept a target at a certain distance, altitude and speed takes a long time to calculate all of the missile hardware inputs that are used in the test. What GTRI is working on, according to Parker, will enable the simulated components to be “looped in” for real-time calculation, eliminating the need for database computation ahead of time. Using off-the-shelf NVIDIA graphics cards, the group will work to provide the seeker with simulated thermally emissive ballistic targets heated by atmospheric effects in real time. The team will be using CUDA, NVIDIA’s parallel computing architecture. AEgis Technologies in Huntsville is the prime contractor of the project. They will operate the Army-owned, hardware-in-the-loop test bed and generate scenarios for use in simulations. GTRI provides the expertise in real-time computing. Prior to this, AEgis had worked indirectly with GTRI’s Electro-Optical Systems Laboratory (EOSL) on the same program, which supported ultraviolet sensor testing. The system will be scalable, and the plan is to take what they learn from this project and use it elsewhere in the defense industry. The thermal solver aspect of the project, for example, will be useful for any simulation requiring a real-time solution for thermal image simulation.